How to generate a standard wave sample with ST2882 Surge tester: When you connect a good sample and first press STD WAVE SAMPLE softkey to get the standard waveform. You will see number “1″ below softkey lable FINISH in the top right of the screen as shown below. 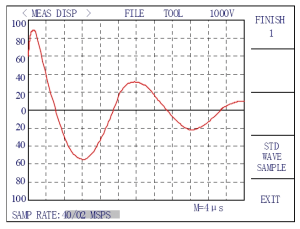 Then you can connect another sample to surgetester and press STD WAVE SAMPLE softkey to get the standard waveform again. The number below softkey lable FINISH will be “2″. 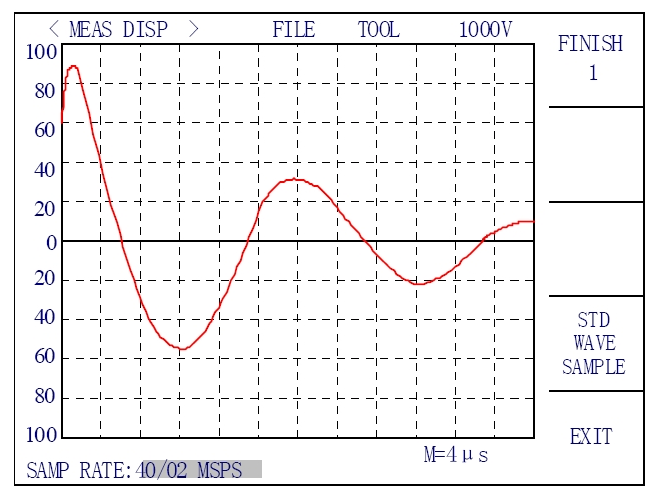 Here “2″ means the current standard waveform is averaged from two good samples. If you want to get a standard waveform based on up to 10 GOOD samples, you can continue the process until FINISH 10 is displayed.